One of the great benefits of having an airless plastic welder is that you can quickly repair cracked or broken polyethylene parts, like this radiator overflow bottle. 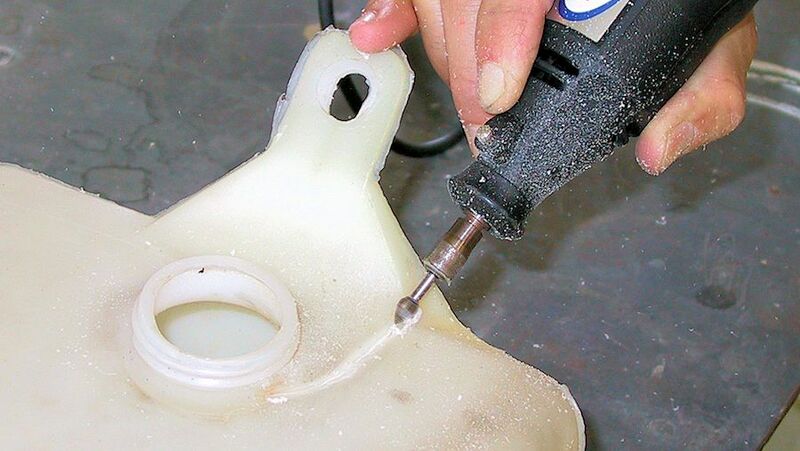 This quick repair saved the cost of a new tank, and more importantly allowed the shop to deliver the car more quickly with no waiting for parts. 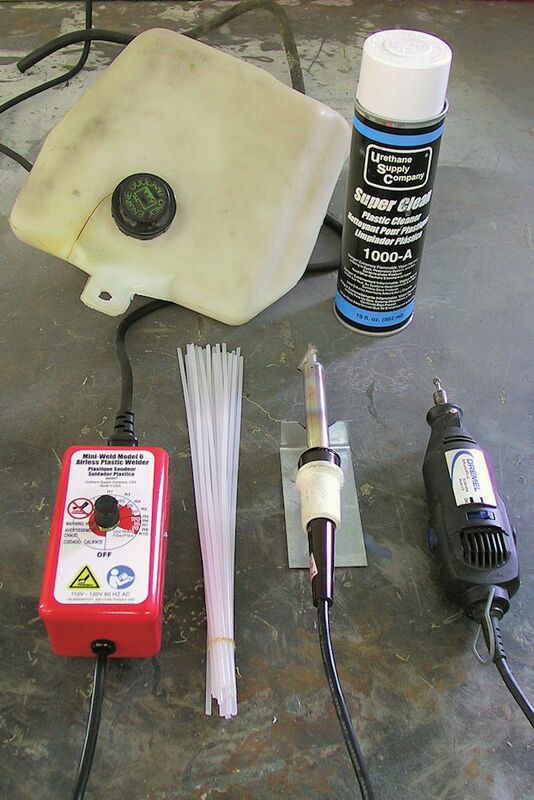 Here is everything you need to repair a polyethylene (PE) tank: 1000-A Super Prep plastic cleaner, a Dremel tool with the 6121-T teardrop cutter bit, the Mini-Weld airless plastic welder, and polyethylene welding rod. Shoot on a heavy, wet coat of 1000 Super Prep plastic cleaner, let it sit for a few seconds, then wipe dry with a clean paper towel. V-groove the crack almost all the way though with the 6121-T teardrop cutter bit. 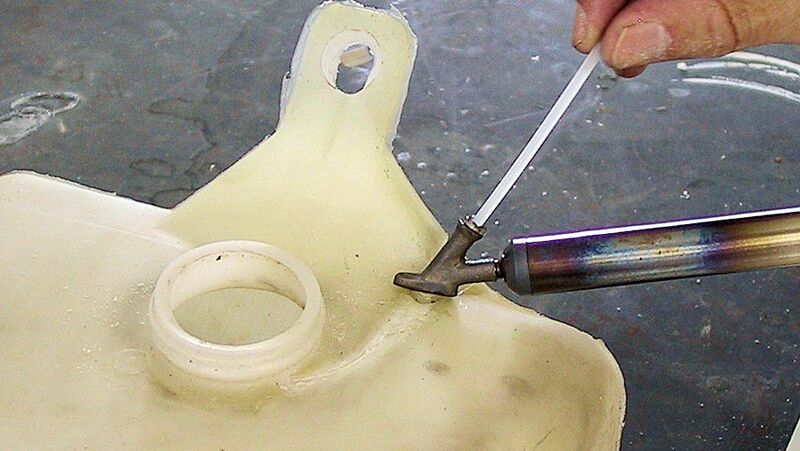 Melt the R04-01-03-NT Polytheylene (PE) welding rod together with the base material. 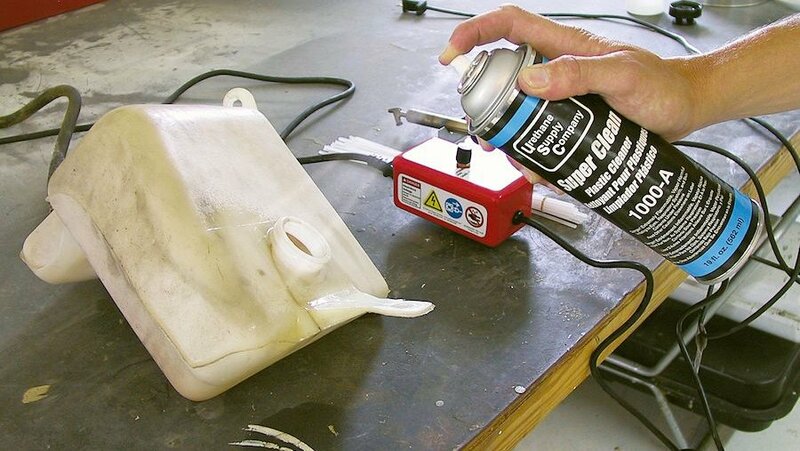 Use welding tip to melt base and mix together with welding rod.